For those who want to switch from one music streaming service to another, the free Soundiiz Web tool that can transfer playlists is available. More and more people realize that the quality of music offered by Spotify or other streaming music services is poor, even if they pay for the premium version, and are learning about TIDAL or Qobuz that offer the same quality as a CD and are looking for so a way to be able to move their playlists from the old account of Spotify to the new one of Tidal or Qobuz, thus avoiding to create the playlists manually looking for every single favorite song. In aid of these people, but also to those who want to switch from another to another music streaming service that are not necessarily Spotify or Tidal or Qobuz or Apple Music, a free basic Web tool is available, which can transfer playlists: it's called Soundiiz . Soundiiz is compatible with 25 music streaming services: Spotify, TIDAL, Deezer, Apple Music, Google Music, Napster, YouTube, SoundCloud, Yandex Music, Zvooq, 8Tracks, Qobuz, Last.fm, Pandora, Hype Machine, Slacker Radio, Discogs, Dailymotion, iHeartRadio, Saavn, Anghami, JOOX, Audiomack, Jamendo, 7digital. It is possible to freely transfer your personal playlists from to any of one of the services supported by Soundiiz and listed above. The Xiaomi Mi Max 3 is a smartphone that manages to hold about 14-15 hours of use. Excellent performance and optimization. It never stopped. The fingerprint reader is lightning fast, the discrete cameras. 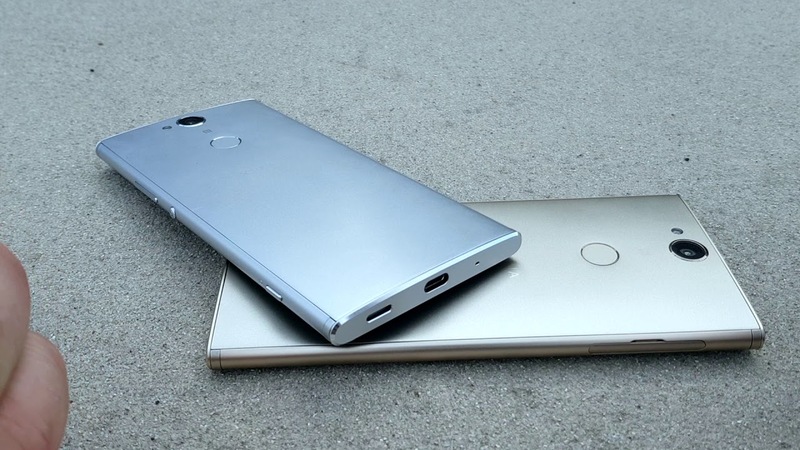 The back is comparable to that of an iPhone 6S. The videos are bad though. It is very large and is difficult to use with one hand, for informed users. The graphic customization is fluid and light, in iOS style. Users who come from the iPhone will not be very displaced. Android has improved a lot in the last few years. Pay attention to the privacy settings. Ultimately it is a device that is pleasant to use in your free time but I find it unsuitable for daily use due to excessive dimensions. 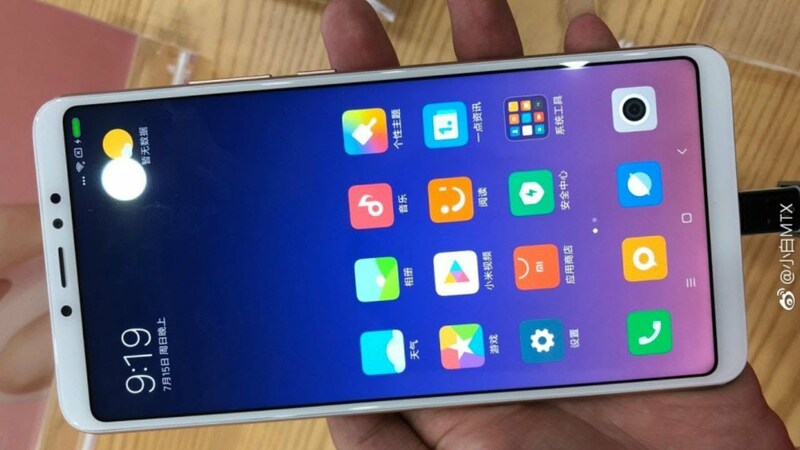 The Xiaomi Mi Max 3 looks very solid and well built, I personally find it also beautiful and with a minimal elegant design. It has important dimensions but being thin I do not find it annoying, clearly it is a personal choice to have a smartphone of 6.9" inches. The battery life of the Xiaomi Mi Max 3 is really impressive and with my normal use I arrive safely to cover three days with a single charge, this aspect for me has been an important parameter in the choice. Set up phone and for now I can say that it is better than many other phones of expensive brands that is similar to Huawei and others of the same kind at a lower price. In summary, Xiaomi Mi Max 3 a great phone. I can say I am fully satisfied with this Sony Xperia XA2 Plus. Fluid, clean audio, reception without problems, beautiful photos (with little light a bit ', but still acceptable), excellent clear and bright display. Phenomenal battery: with a quiet use you make 2 days. A great product. Sony quality confirmed. Impeccable smartphone. Excellent construction quality, performance that have nothing to envy to the most famous top of the range on the market. Product recommended for those who do not want to go beyond a certain price threshold. Sony Xperia XA2 Plus is not the top of the range of Sony smartphones, but even if it is a display of the central range at the opening of the package you find in your hands a product that right from the first returns a premium feeling. Inside the box, Sony has provided a standard equipment, with travel charger and charging cable, but what makes the difference is the display itself. The Plus model provides a slightly larger display than the basic version, a 6 "panel that takes the shape of Samsung, developing in height and containing the width - however superior to the 8 and 9 series. Spiked on every corner, therefore, and slightly rounded at the left and right sides that make it easily recognizable; however, it has points in common with competitors, especially in the rear where we find the circular fingerprint sensor placed immediately below the main camera. A distinctive sign of the Xperia is also the button dedicated to the camera, at the bottom right, useful for taking selfies and immediately recall the camera when the smartphone is in standby. The rest of the layout follows the dictates of the segment: TypeC interface for charging, 3.5 mm jack on top, Dual SIM (obviously nano) even 2 cameras, with flash support, for frontal shots. Despite the excellent characteristics of the display, one of the defects of the smartphone lies in the panel, certainly not one of the best for what concerns the User Experience. The display is so sensitive that it perceives too many touches, especially in call when, bringing the smartphone to the ear, instead of disabling the interaction tends to interact with the dialer by activating the functions provided in the UI (speakerphone, microphone and call status). In this case the faults must be halved with the brightness sensor, poor assistant on call, but the sensitivity of the screen is so high as to make typing messages difficult while holding the smartphone horizontally (in this case the letters are often inadvertently activated left and right sides). Good grip returned from the back of the terminal, because it transmits the same security of a cover in terms of grip. It is the back-cover to host the fingerprint sensor, satisfying reactivity and precision, but disappointing in terms of design: the best solution remains that proposed with Xperia XZ, with the sensor integrated in the on / off button, certainly more convenient to reach. As for the software, the Sony Experience is not reflected on Android Oreo with extreme customizations as other manufacturers do. The user experience is strongly based on Android 8, with the usual dashboard making a swipe on the home that focuses information from different feeds. Well imagined, built, solid and very fluid. A beautiful discovery, fantastic camera, good sound, excellent screen and the battery seems to last a couple of days with average use, today it was active from 5:30 in the morning, now it is 21:40 and is 56%. I would say perfect. Great product, just as I imagined it. The phone is held well in hand and from the software side you can not say anything: fast and do not get caught! Maybe you need to take a microsd, to move the photos and leave the phone free. The photos of the Sony Xperia XA2 Plus that shoot are excellent, very defined. The front camera for selfies is perfect, has a setting to make group selfie convenient. I list the strengths and weaknesses. Strong points: battery, processor, panel, compactness, grip, accessories, updates, sound both in headphones and without. Weight, even if you feel balanced, you get used to it but you could do better Sony dear. The proximity sensor very sensitive, I'm having some problems when I have the device near the ear, the function sensor goes dark but just move the cel slightly rubbing it to the ear. That opens the notification curtain. I tell you that this Sony Xperia XA2 Plus only zero lag during navigation or when switching from one app to another. Responds quickly and accurately. I had read about reception problems, from me it takes everywhere in 4g, even in rural areas and on the coast, in bathing areas etc. Great phone. Only problem size and heaviness, it needs a sheath to improve grip. Bugs during long phone calls the sensor that deactivates the touch is lost and there is the risk of triggering the mute or the speakerphone with the cheekbone. Excellent readability of the characters even without glasses. Beautiful phone, different from the others. Fast and responsive, excellent audio in the multimedia sector, only good audio calls. Very good photos, really good display. It is certainly solid and is easily challenged, which is not obvious for a 6-inch diagonal. Overall I am satisfied with the Sony Xperia XA2 Plus and you should get this one too. I was looking for a Nokia smartphone that did not exceed a 10,000 price and that would replace my existing smartphone now at the end of life, I was sincerely skeptical to switch to Android but I changed my mind. I still do not understand how an average user like myself should consider phones from 25,000 or more. But I actually like this Nokia 5.1 Plus X5. I only checked the proper functioning of the smartphone. I must say that the touch is very sensitive, the cameras make beautiful pictures even in low light. Beautiful line very compact and manageable. I am disappointed that on 32 gigs of rom almost 8 are occupied by the system. In the price there could be a transparent cover and an anti-scratch film. At this price one could not expect more. For me that I use the cell phone in "basic model", that is, few apps and nothing exceptional, that's fine. The audio quality of the calls of Nokia 5.1 Plus X5 is not crystal clear, but still feels good. It 's very fast, excellent signal in 4G, aesthetically very nice and pleasant to the touch, but I suggest you buy a case and the protection in tempered glass, because it is very thin and slips easily from the hands. Behind the cover there is a small black label with a serial number. But there is no app pre-installed by the operator on the new Nokia 5.1 Plus X5. From the aesthetic point of view it is a show with the body completely in a rigid build that makes it solid and of quality. The hardware sector is performing and always responsive. From the software point of view there is a wonderful Android stock system without unnecessary customizations. 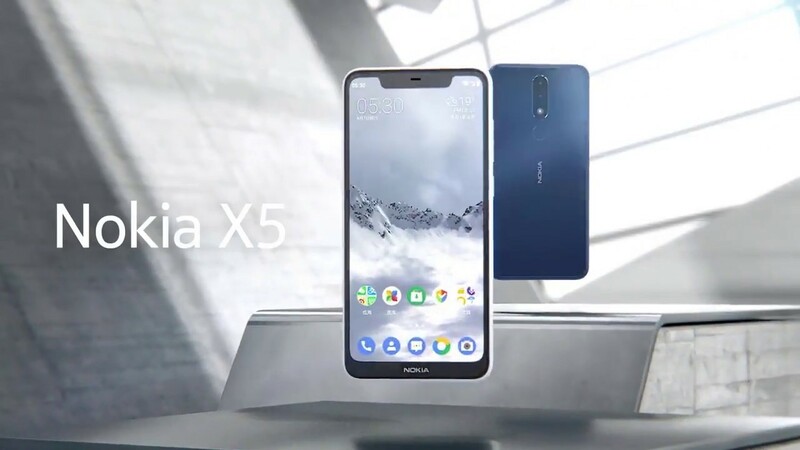 This Nokia 5.1 Plus X5 deserves all the stars. Welcome to Nokia. It is an update to the 2017 hit midrange phone. And this one sports a 3D scanner that scans your face as your security login feature. This will be a new feature instead of the iris eye scanner found on the last year's Galaxy S8 and S9. 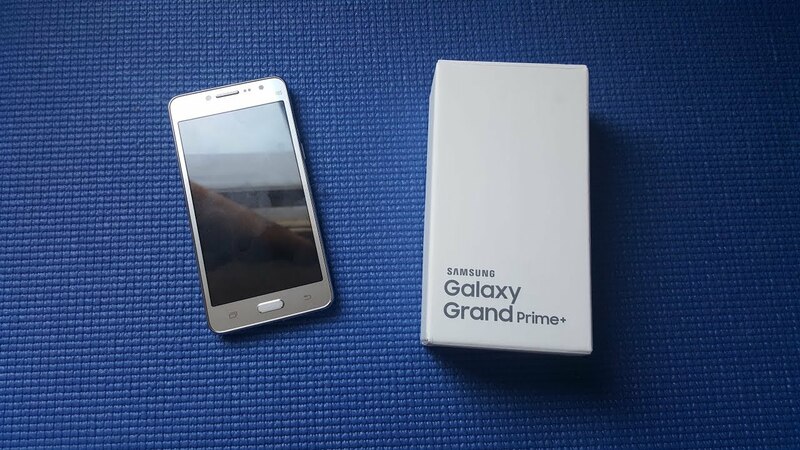 The Galaxy Grand Prime Plus in this respect may be an experimental phone. The price for Samsung Galaxy Grand Prime Plus 2018 is around 11,980 Philippine Peso. It rocks a vibrant and large 5.5 inch display, with a resolutino of 540x960. Battery is okay at 3630 mAh. The phone finds the following problems: the battery has a very limited autonomy, often the jack does not work, it heats up quickly and turns itself off. The real defect of this model is the lack of memory, but it depends on the use that one wants to make. I wanted a cell phone fast and with good enough memory without having to spend an entire salary .... luxury at moderate prices, yes I like it! Elegant, maybe a bit 'too heavy, being able to put in your handbag, it is not prohibitive. The only flaw the initial explanations, practically non-existent ... if you are not experienced you find it difficult to understand the use of the key to insert the sim. The screen allows you to read e-books well. The apps needed for my work have all entered ... in short, for me it's great! Excellent both the internal and external camera. High quality videos and photos. Very fluid navigation. Very nice design, handy and functional. I bought the gold color and live is even more beautiful, it is more between gold and silver. The only negative things are the lack of the underwire to extract the compartment for the Sim / SD and then the photo gallery as there is only that of Google, but it is not a big problem as you can easily download from the market. Anyway, for the quality / price ratio, I recommend it great. The design is really beautiful, with attention to the smallest details. Speed ​​in loading pages, the software is amazing Oreo is the best choice in my opinion. And what about the photos that makes a double bomb with a double camera. Do not be intimidated by previous phones. From the software point of view, I think the choice to have kept the Oreo system practically stock, in fact all the applications are native google and the system, in general, is always fluid and responsive, even for ample ram that allow you to keep several applications open without lag or reloads. Samsung Galaxy Grand Prime Plus 2018 is a great value for money phone that I recommend, ideal for those coming from a lower range or alternatively to other medium range without giving up a sophisticated design in line with the "latest trends ". Before writing this review, I waited 2 weeks to better test the P20 LITE. I can be satisfied with this phone that has not disappointed my expectations ... Huawei is growing, but can continue to improve even more. But the company has released the Nova 3i and I also used and will feature a separate review, however I found that the P20 Lite is a better deal, and here is why. DIMENSIONS: I think these are really the right dimensions that a smartphone should have. Easy to hold and with your thumb you can cover the whole screen. The back glass material makes it non-slippery, albeit delicate (I highly recommend a cover). AUDIO: compared to the previous Huawei that I had, I must say that this certainly has the best audio speakers and microphone, even if it is not very high. I really like listening to music here and radio because yes there is still FM here, I listen to Wish 107.5 and MOR 101.9. Regarding the brightness it is very strong, improved by far. BATTERY: without too much effort, the 24h reaches without problems. I am more than satisfied, finally a smartphone whose battery that, even if used a lot for the internet, lasts until the evening and could still be used. For me it was a real asset is far superior to the previous Samsung. I recommend it a lot. FOTOCAMERA: the strong point of this phone, we are really reaching the top, especially if we think about the price . Crazy photos. This mobile phone perfectly meets my needs. I wanted a product of good quality / price, easy to use, easy to use, with good internal memory to allow me to upload programs with Instagram, Facebook, Twitter, Messenger, Whatsapp and this device is for me. In addition, the camera is of a high level and you can take beautiful pictures, even in unfavorable lighting conditions, and shoot videos of good quality. Product chosen after a long evaluation, considering, in my case, also the change of operating system, already from the first use proves positive. The dimensions are adequate, excellent camera and effective operating speed. The smartphone has all the necessary functions that can be found in clear and functional menus. The only aspect that perhaps focus better in the description and that, personally, I could only grasp reading the manual before purchase (but it would not have affected), consists of the impossibility of using two SIM simultaneously with the micro SD card expansion of the memory, since the slider slots are only two (two nano sim or one nano sim and the micro SD card). 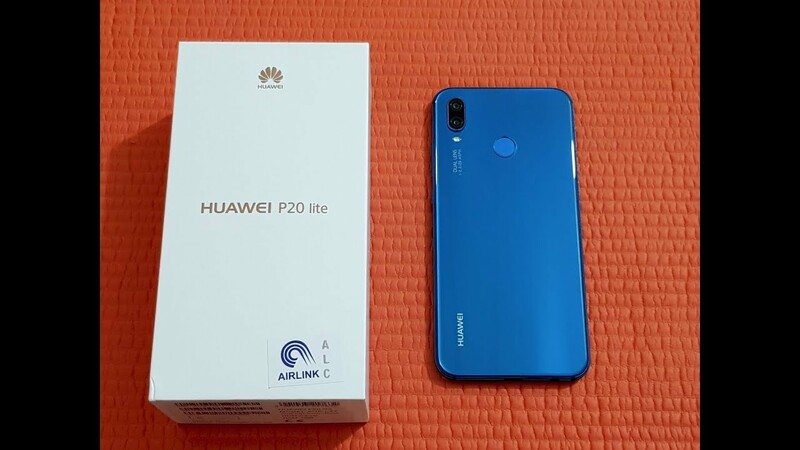 CONCLUSIONS: if you are looking for a smartphone that is up to date and with technology but do not want to spend a fortune, the P20 LITE will be right for you. The price, compared to the quality, is really good and sincerely, for the moment, there are no rivals on the market. If we really want to find flaws in this phone, well you could try to put a better headphone and make it all the screen. For the rest, without a doubt, I recommend it. Barbie Imperial Hiwala Na Kay Paul Salas? Eto Kaya Ang Mga Dahilan? Social media is now discussing about Paul Salas's removal of Barbie's photos in his Instagram account. The question is now what are the reasons of the rumored break up? These are the suggestions of netizens about the cause of Paul and Barbie's separation. A Wala nang oras ang dalawa dahil sa mga work nila lalo na’t magkaiba ang network nila. B Pagseselos ni Paul kay JM De Guzman dahil sa sweetness at kulitan ng dalawa off and on cam. Sa inyong palagay, saan ba sa A-D ang posibleng nangyari sa relasyon nila Paul at Barbie? Which is the best: Spotify or Amazon Prime Music? As many will know and especially the subscribers, Amazon a few months ago has decided to increase from 1,246.00 Philippine Piso to 2,243.93 Philippine Piso the annual fee for the Prime account, commonly known as Amazon Prime . The first hot reactions were obviously dissenting for an increase considered excessive, but Amazon then clarified the issue explaining that the subscription included additional services, some immediately available as Amazon Prime Video and Amazon Prime Photos and other successively replaced as Amazon Prime Music and Amazon Prime reading. What is Amazon Prime Music? Its operation is simple and intuitive, there are songs, predefined playlists for genres and / or singers, radio and it works almost like Spotify. Amazon Prime Music or Spotify, which one is better? The thing that has certainly struck me immediately was the ability to download the music that I listened to and play it even without an active data connection at a later time, something that with Spotifyyou can only do it with the premium account. Also there are no commercial breaks as happens on Spotify every 30 minutes. I would say I would like to see because it is a service that is part of a paid subscription (Amazon Prime). Instead I was disappointed by a limitation that for some may be of little importance, but for others perhaps a bit 'too stringent: You can listen to a maximum of 40 hours per month and once exceeded no song will be more listenable. 40-hour limit that starts at the beginning of each month and will be notified when the limit is reached. It is possible to connect to Amazon Prime 10 devices (we have tried two at the same time), while offline music can only be listened to by up to 4 devices. Spotify instead, with the Remote control mode , can be heard from only one device at a time. Of course, the number of hours is calculated on the account and not on the device used. So which one to choose? The choice is obviously subjective. Those who listen for little more than an hour of music a day could tend to Amazon and in case you do not listen to advertising, while those who eat music for several hours a day will inevitably have to do well advertising but without limits of time, except to opt for paid subscriptions or for other non-legal solutions. How to activate Amazon Prime Music? By having an Amazon Prime subscription, activation is automatic, you can listen to your music from any web browser by accessing the Amazon Prime Music application and start enjoying immediately all the 2 million tracks available on any device. Prime Music along with Prime Reading certainly give a greater sense to spending 36 euros for the Amazon Prime account , although some limitations make the service useless to some. features such as downloading and lack of advertising are factors to be taken into account, but as mentioned before the choice is to be made according to their needs. And what do you think? Do you need just over an hour of music or are you tireless fans? Ariana Grande: the duet with Troye Sivan is coming. The song is titled "Dance To This" and will be part of the new album of Australian talent. For him it is practically a dream come true: the Australian Troye Sivan announced a collaboration with Ariana Grande , also publishing the artwork of the single on social channels. The song is called Dance To This and will be released on Wednesday, June 13th. The song is part of the anticipations that Troye is making of his next album, Bloom , coming out on August 31st. The other songs published were My My My , The Good Side and the title track Bloom . Troye is building a series of high-profile artistic relationships in the world of pop music. Not only Ariana Grande, but also Taylor Swift , always ready to support rising colleagues (as she is doing with Camila Cabello): Troye was invited on the stage of his concert at the Rose Bowl in Pasadena, California, to sing one of the three new singles, My My My . Even Ariana Grande will release an album in August, her highly anticipated fourth studio work, Sweetener . In my opinion, they are honest headphones, especially considering that the Sony MDRZX110AP cost 930.67 Philippine Piso, less than half of the only sponges cover spare parts of my Sennheiser. I took two, for me and my son, to listen to music with the phone when we are around, especially because both classic in-ear headphones bother. We took these because we can also make phone calls, as well as listen. It does not feel bad, honestly I like the sound of the Sony MDRZX110AP. You can not expect the sound of a vinyl with a tube amp and a 37,226.80 Philippine Piso headphone, but the overall performance satisfies me, I find that the dynamic range is there, and it's good. Mostly I listen to rock and heavy metal, things like AC DC, Metallica, Pink Floyd, and I like the sound. Even with classical music all in all, they are not bad. THE' isolation is limited, they are simple supra-aural headphones, so you can not expect total isolation, not being made for that. It would be like buying a bicycle and complaining that to go you need to ride, no? And the volume is that given by the device that powers them, if you attach a 600 Watt RMS amp per channel the volume will go up so much to make them vaporize. Honestly, for what they cost in my opinion it feels good. Who buys them and then complains that the acoustic output is not optimal has you ever wondered why they sell (and buy) headphones from hundreds of euros? Or do they think they are the smartest and pay for a bike to have a Harley ??? They are headphones of 930.67 Philippine Piso, I pay the Jacks of my electric guitars on 930.67 Philippine Piso each, only the jack !!!! And for 930.67 Philippine Piso I think they give a lot, more than the cost certainly. As for the telephone part, they're fine. I made test calls with my son, both with the same headphones, and the quality of the conversation was good, more than adequate. Pressing the button once pauses the music, pressing it twice quickly will skip to the next song, holding it down will activate the voice assistant of the phone, and you can make calls or send and read messages without picking up the phone. Bending can be put in the backpack easily, do not take up much space. And the 1.2 meter cable is long enough to be able to use it while holding the phone in your pocket or backpack, but not too much to bother and get caught up everywhere. For 930.67 Philippine Piso I am absolutely satisfied with the Sony MDRZX110AP. If you have needs that go beyond just listening to MP3 music on your mobile phone, spend 30,000 plus and get adequate headphones. And combine them with a tube amplifier and an excellent dish, not a mobile phone. The only negative note: the button in my opinion is too small, you need to look for it every time, and there is no ring that tightens the two cables that go to the pavilions, which resolves with a piece of tape but I would have expected it of factory. Spandau Ballet Officially Has A New Lead Singer, Is He Good? On the evening of Wednesday, June 6, Spandau Ballet held a concert at the Subterania in London presenting on stage, for the first time, the new singer Ross William Wild to replace Tony Hadley. In view of this concert guitarist Gary Kemp had told Billboard: "This is a rebirth of the band, but it's still the band, it still sounds like a band, the energy is the same, we still have the main songwriter. Same musical protagonists And now we have this new guy who is filling us with new vitality, he really has a lot of talent, passion and knowledge ". The Subterania is a 600-seat venue, formerly known as Acklam Hall, whose aces were trodden by artists like Clash and Joy Division in the '70s and' 80s. Even the Spandau Ballet performed in the club when they were still called Gentry. Martin Kemp told the audience: "About 40 years ago there was a group of kids called Gentry playing on this stage, this time it seems like a circle is closed and we start all over again, except this time it seems more exciting."